4 Days Solo Yoga Retreats in Ubud Bali. Sometimes, daily activities with tons of work make you forget to pay attention to the health of our body, mind, and spirit. It makes emotions uncontrollable and negative thoughts more easily come to your minds. It is time to rejuvenate yourself by doing the wellness retreat. What is the best wellness retreat for your needs? Healing Retreat is the answer! A Healing Retreat is a wellness retreat that allows you to take a break from the stresses and habits of your daily life in order to focus on your physical, mental and spiritual well-being. There is no time better than now to take care of yourself! Experience the peace, love, and harmony of Bali while purifying your mind, body, and spirit! One of the drivers will wait at the gate and holding a sign with your name on it. Gianyar is located in central Bali and this area is an art and cultural town. Gianyar Regency has a unique and special attraction with a variety of typical tourism objects. After Denpasar and Badung, Gianyar is one of the more populated districts in Bali. There are many tourism objects in Gianyar which emphasize the natural panorama of the countryside. Gianyar Regency is also one of the destination places must be visited by tourists because it has an agricultural plantation region with its beautiful natural panorama. In addition, they also have potential people in the arts and culture which are considered as one of an invaluable asset to this region. The Retreat will take place at Central of Ubud. During your retreat, you will stay in Parahita Kampung Ubud. 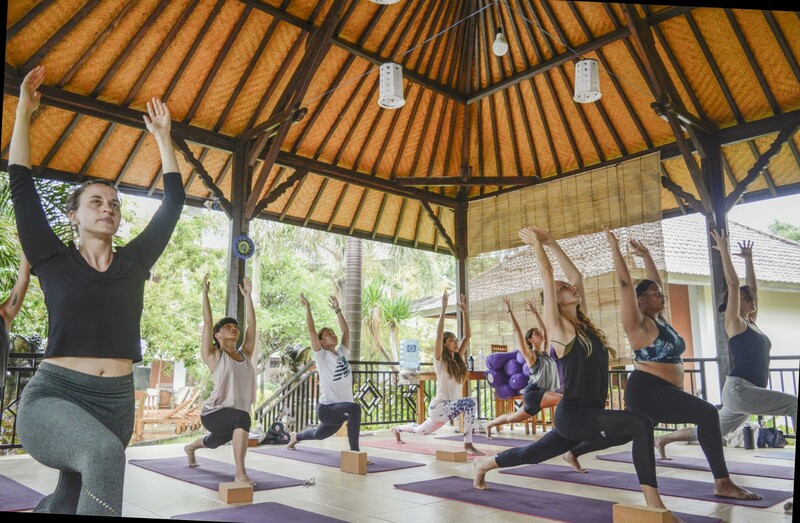 Parahita Kampung Ubud was created to fulfill your needs, where the guests can experience a solo yoga retreats to rejuvenate their body, mind and soul. This place is located in the heart of Ubud, walking distance to Monkey Forest, many shops and restaurants. With a traditional bungalow and garden design it will provide you a wonderful and tranquility stay. Sit back, relax and enjoy the ambience of our 14m swimming pool. To complete your holiday we offer a complimentary yoga class every morning and evening, you will had a memorable experience with us.